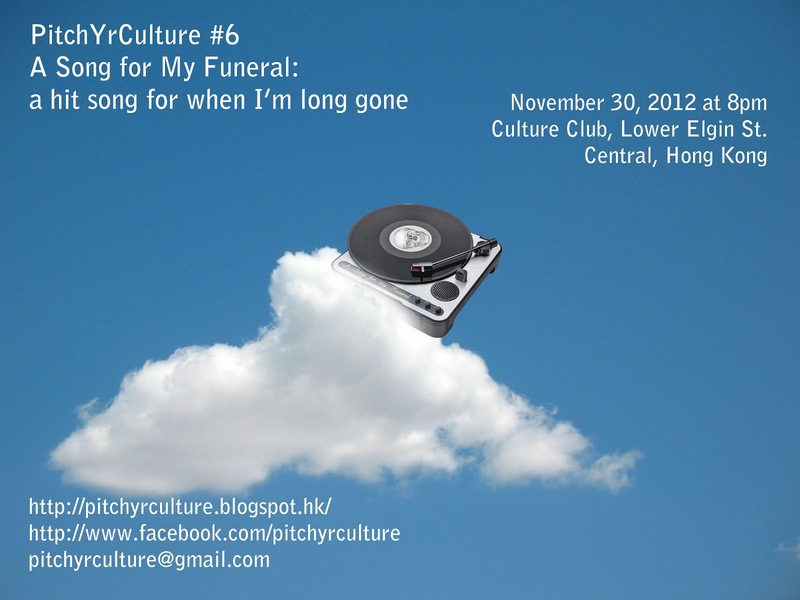 After five highly successful PitchYrCulture events in both Hong Kong and Shenzhen, the event returns to Culture Club in Central, Hong Kong with PitchYrCulture #6. Six to eight invited presenters will explain a particular song within the confines of that song’s time limit. The theme for this event is A Song for my Funeral: A Hit Song When I’m Long Gone. 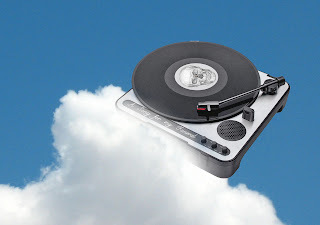 While presenters have to pick one song that most fits the theme, with the concept of Desert Island Discs in mind (the ‘ultimate song’), it makes sense to consider funereal celebrations, a circumstance that allows for a certain amount of preparation, if not a list that the living can refer to, in this case - a ‘last will and playlist’. The six to eight presenters at PitchYrCulture #6 will pick, explain and play the song that they would like to parallel their ascent, descent (or wherever) beyond this mortal plain. John Woo is an experienced radio programmer. He hosts a late-night music program on RTHK Radio One featuring nostalgic tunes from Hong Kong and East Asia. Sandy Chan hails from New Zealand and is an English teacher, a keen participant of Toastmasters International, and a genuine music enthusiast. 六次分享會. 本次分享會將會有六至八名分享這出席, 每人的分享時間一如既往的不會超過所選曲目的長度. 本次PyC分享主題是: 葬禮之歌.